When she discovers her screenwriter father dead in his swimming pool, Deirdre Unger finds herself at the center of the suspicious death. It’s 1985 and old Hollywood secrets resurface. Decades ago Deirdre’s best friend killed her mom’s boyfriend and a terrible accident left Unger walking with a limp and crutch. Deirdre now lives in San Diego and runs an art gallery. She and her brother drifted apart years ago. He dropped out of school, lives at the family estate and runs a motorcycle dealership. Their mother took off to join a cultish monastic life. When Deirdre begins sorting through her father’s papers the past swings back in full force. 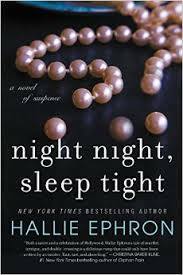 Hallie Ephron’s newest novel Night Night Sleep Tight weaves together present day-1985 with the 60s with fierce suspense and superb details. She delves into the anachronisms of Hollywood celebrity and the fame that many want and few realize. Ephron grew up in Beverly Hills with screenwriter parents so this covers familiar territory. A New York Times bestselling author, Ephron also wrote Never Tell a Lie, Find Me and There Was an Old Woman. Night Night Sleep Tight By Hallie Ephron. William Morrow| March 24, 2015.|287 pages |$26.99| ISBN: 978-0-0062117632. Hallie Ephron took the time to answer a few questions. Amy Steele: I really enjoyed the new novel Night Night, Sleep Tight. How did you come up with the characters? Hallie Ephron: The book is a hybrid, one part based on my own experiences growing up in Beverly Hills, and another part riffing on the Lana Turner/Johnny Stompanato murder scandal. So, for instance, Deirdre Unger’s screenwriter father (Arthur) who gets murdered in the opening chapter is inspired by my dad; Deirdre’s old friend Joelen Nichol who turns up is based on my best friend in junior high, but her situation (her mother, mother’s Latin gangster boyfriend) is, as they say, ripped form some very old headlines. Amy Steele: Why did you want to focus on a brother-sister relationship? Hallie Ephron: Good question. I don’t have a brother, so I guess giving Deirdre a brother freed me to make stuff up. And I’m interested in how two people who grow up in the same family end up feeling as if they grew up in alternate universes. Amy Steele: Do you generally start with characters or a story idea? Hallie Ephron: It’s really both. Which is why my process is so messy. As I write the story the characters shift under me. Amy Steele: You said that you used Lana Turner’s boyfriend’s murder by her daughter as a jump-off point. What appeals to you about that case? Hallie Ephron: It happened when I was 10 years old (Cheryl Crane was 14) and the house was around the corner from where I lived. I pored over the pictures in the paper. I identified with Cheryl, sympathized with her enormously. Amy Steele: What do you like best about your central character Deirdre? Hallie Ephron: She’s a survivor. She had a terrible accident that left her crippled but she hasn’t an ounce (well, maybe an ounce) of self pity. And more than anything she wants to know the truth. Amy Steele: Why did you decide to set this novel in 1985 and the 60s? Was it challenging to go back and forth time-wise? Hallie Ephron: I was interested in writing about what was happening in Hollywood in the ‘60s – the studio my screenwriter parents worked at nearly went bankrupt and writers who had been on contract for decades were suddenly out on the street. I wanted the characters to be teenagers in the ‘60s, as I was, and then revisit the place twenty years later to see how it had changed. To keep myself sane, I had kept separate timelines for past and present for each of the characters. The writing itself was the easy part. Amy Steele: What do you think is the best part of the earlier days of the entertainment industry versus today? Why do believe people like to read about it? Hallie Ephron: So much glamour! It was before Facebook. The tabloids had barely gotten started. So it was a kinder, gentler time and the stars were protected by the studio system. So as far as the world at large was concerned, they lived a sort of fantasy existence. Amy Steele: How did growing up in Beverly Hills with screenwriter parents influence your writing career? Hallie Ephron: I’m a child of the movies, and though I don’t write screenplays my novels are very cinematic. When I write a scene, I imagine I’m writing from the viewpoint of a camera anchored in one of the character’s heads, but with access to that character’s thoughts and feelings and senses. Amy Steele: How did you start writing? Hallie Ephron: My first attempts were memoir. In fact, chunks of an early unfinished manuscript (full of lovely little episodes but no overarching story arc) found their way into Night Night, Sleep Tight. I always tell writers: Never throw anything away! Amy Steele: Why do you like the mystery/thriller/suspense genre? 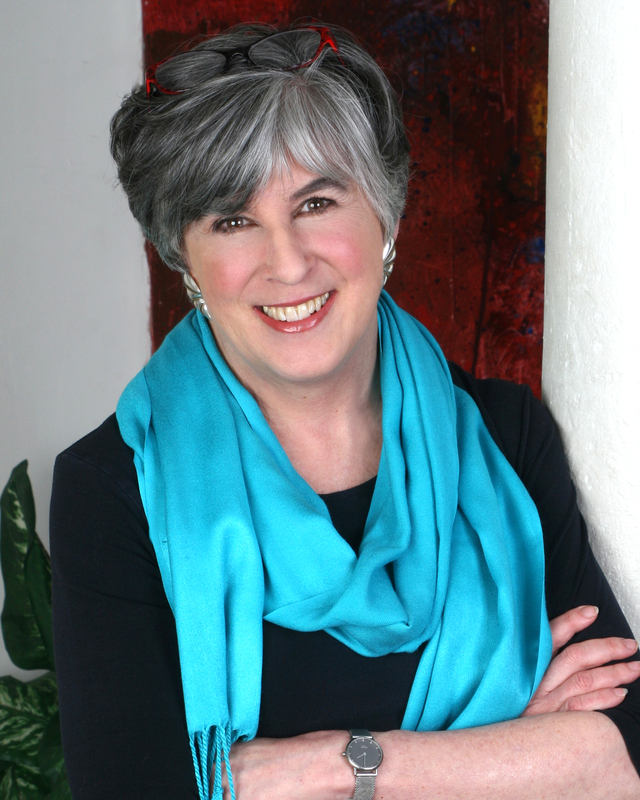 Hallie Ephron: I love reading the genre and it plays to my strengths as a writer. I’m good at creating a sense of place, building tension, and suggesting what’s going on with subtext. I love the intricacies of plotting out a mystery. Amy Steele: What kind of research did you have to do? Hallie Ephron: Hollywood and Beverly Hills in the 60s and 80s are so well documented – so many old pictures are found on the Internet and there are the movies that defined the styles of the times (Sandra Dee Gidget hair in the ‘60s; Jennifer Beals Flashdance hair in the ‘80s.) Between that and newspaper archives and my own memory, it was one of the easiest novels I’ve ever researched. Amy Steele: Do you have any particular writing habits—time you write, place, outlines etc.—that you could share? Hallie Ephron: I write every day, in my home office, on the computer, and I do create an outline though I never follow it. The outline is like training wheels that give me permission to write. As I write I revise the outline and make a feeble attempt to get ahead of myself, planning-wise. But it usually turns out to be hopeless and I constantly find myself second guessing myself and circling back. Along the way it’s a mess, but I’ve surrendered to the chaos. I’ve learned that if I keep at it long enough, eventually it comes together. Amy Steele: Thank you so much Hallie! Tell Delia and Amy I send my regards. This entry was posted on March 22, 2015, 12:42 and is filed under Books, Interview. You can follow any responses to this entry through RSS 2.0. Both comments and pings are currently closed.